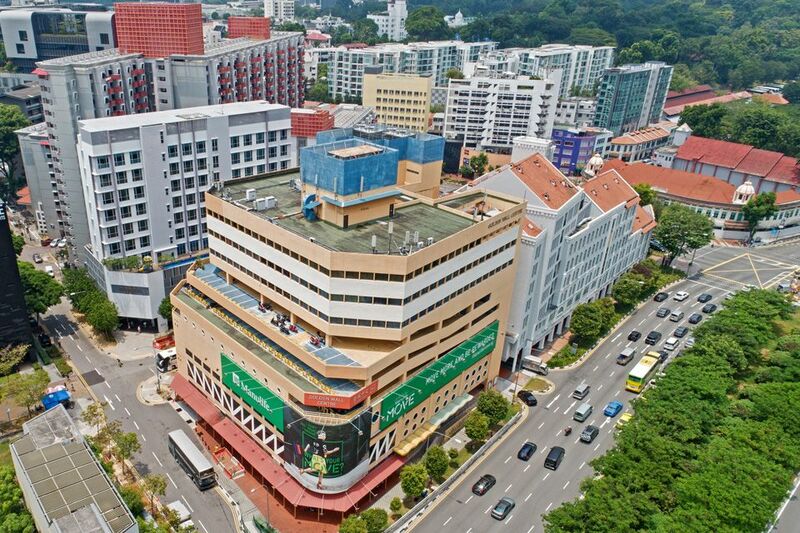 Golden Wall Centre located at 89 Short Street has been sold en bloc at $276.2 million. The freehold commercial property for sale by tender reflected a land rate of $2,331 psf per plot ratio. Edmund Tie & Company (ET&Co) the sole marketing agent for the collective sale of a prime freehold commercial site said Golden Wall Centre was purchased by City View Holdings. City View Holdings is a wholly owned subsidiary of Worldwide Hotels. Worldwide Hotels’ portfolio includes the Hotel 81 chains. 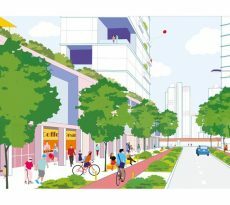 Golden Wall Centre has a land area of approximately 2,251.9 square metres (sq m) or 24,239 square feet (sq ft) and is zoned for Commercial use under Master Plan 2014. Subject to authorities’ approval, the site can be redeveloped up to its existing gross floor area of 11,007.929 sq m, approximately 118,488 sq ft, exceeding the permissible plot ratio of 4.2 as indicated in Master Plan 2014. Golden Wall Centre enjoys an excellent location at the fringe of the city centre. It is conveniently located at the doorstep of Rochor MRT station on the Downtown Line (DTL) and within 400 metres to Little India MRT interchange, connecting the Downtown and North East Lines (NEL). The prime freehold commercial site occupies a prominent corner plot with a 180-metre triple frontage boasting high visibility along the main thoroughfare of Rochor Canal Road, as well as Short Street and Albert Street. Located within the Beach Road/Ophir-Rochor Corridor which is envisioned to be a vibrant mixed-use cluster under Master Plan 2014, Golden Wall Centre stands to benefit from the ongoing rejuvenation and transformation of the area. Such transformations can be exemplified with new developments such as DUO and Tekka Place – a retail mall with 320 serviced residences directly opposite the property. The reserve price for Golden Wall Centre was $260 million, which reflected $2,194 per square foot per plot ratio (psf ppr). The tender exercise closed on Friday, 23 November 2018 at 3 pm. 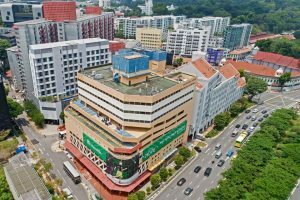 The biggest gainers following the new property cooling measures is likely be owners of strata portfolio of offices and shophouses approved for commercial use. The property cooling measures affected almost all categories of buyers and is predicted to achieve its intended objectives of cooling demand and moderating price growth. One report said investors looking for alternatives to park their money in the wake of property cooling measures, would divert their attention to the strata office and shophouse markets as they are not subjected to this round of purchase or sales restrictions/encumbrances. 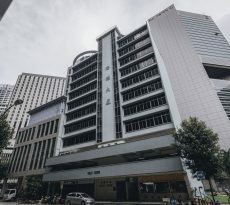 Commercial properties such as the Golden Wall Centre may be bought under personal name, but total debt servicing Total Debt Servicing Ratio (TDSR) will apply on the individual’s income on such purchases. 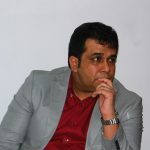 To buy a commercial or industrial property under company name, total debt servicing ratio TDSR also applies on the individual director’s income if the company is an investment holding company or an operating company that is loss-making or does not have sufficient cash flow to servicing the repayment. To buy a commercial or Industrial property under company name where the company is well established with an existing operating business with strong financials, TDSR may be waived on the individual. However director is usually required to become personal guarantors of the loan the company undertakes. Hence this may affect the director’s other purchases, such as for buying a residential property, due to the loading from the TDSR for guaranteeing a loan. Some banks even advertise 100 to 120% loan. This is due to a combination of working capital as well as commercial/industrial property loan, but this only applies to company with strong cash flow position. Commercial property is different from residential property and the considerations are more complex and varied, though the payoff may be worthwhile for discerning investors. Are planning to purchase a similar prime freehold commercial site but unsure of funding? Don’t worry because iCompareLoan mortgage brokers can set you up on a path that can get you a commercial loan in a quick and seamless manner. 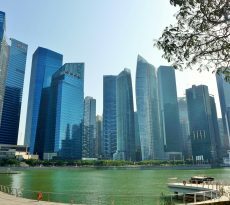 Alternatively you can read more about the Best Commercial Loans in Singapore before deciding on your purchase. Our brokers have close links with the best lenders in town and can help you compare Singapore commercial loans and settle for a package that best suits your commercial purchase needs. Our services are also very personalised and tailored to the unique needs of the buyers. Whether you are looking for a new commercial loan or to refinance and existing one, our brokers can help you get everything right from calculating mortgage repayments, comparing interest rates, all through to securing the final loan. And the good thing is that all our services are free of charge. So it’s all worth it to secure a loan through us for your next purchase. If you need advice on a new commercial loan or Personal Finance advice. If you want to speak to our trusted Panel of Property agents. If you need refinancing advice.